Founded in 1781, Vidal-Fleury is the Rhône Valley's oldest continuing grower/négociant firm. Thomas Jefferson's visit in 1787 was its first contact with the United States; he called the wines "justly celebrated". During the 1890s, Gustave Vidal married a daughter of the Fleury family. Thanks to her dowry, they replanted the vineyard following the phylloxera outbreak. Then, in the 1920s, the House took an interest in other wine-growing regions throughout the Rhône Valley (See Line Extensions). In 1984, Ets. Guigal acquired the company. This step was a logical continuation for the Vidal-Fleury and Guigal families, who had always worked together. Indeed, Etienne Guigal (Marcel's father) was hired as a vine-grower and cellar master by Joseph Vidal-Fleury in 1924. When the Vidal-Fleury family decided to sell the House, as none of its heirs felt like taking over the reins, it naturally turned to the Guigal family. As result, the company remains family run. Vidal-Fleury is managed in absolute independence with its own winemaking, logistics and commercial team. 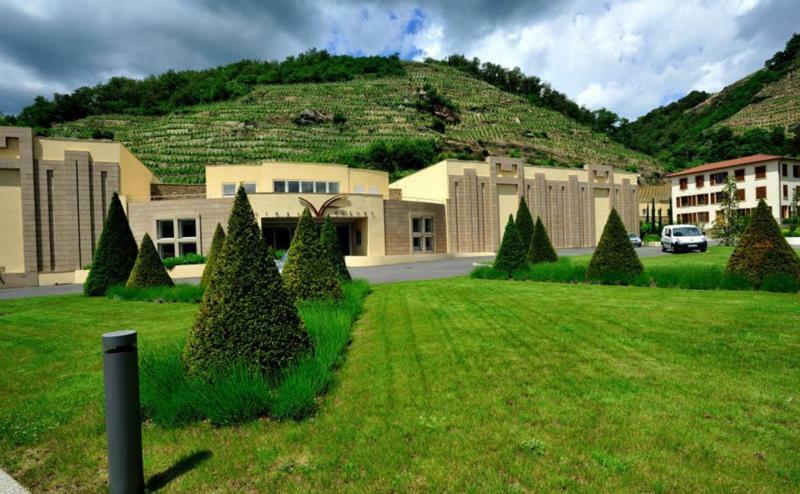 In 2006 Vidal-Fleury began investing to modernize its winery facilities, installing state-of-the-art technology; in 2008, it built a new cellar specifically dedicated to maturing the wines. In addition, Vidal-Fleury's vineyards are overseen with 100% self-sustaining management practices. Long considered one of the most respected producers in the Rhône Valley, Vidal-Fleury carries on under the watchful management of Head Winemaker Guy Sarton du Jonchay. Vinous Media 88“Limpid orange-pink. Cherry, orange zest and pungent flowers and herbs on the nose and palate. Chewy and taut, showing good heft and a white pepper note that adds spicy bite to the finish.” ~J.R. Decanter 95"Enjoys a deep nose with white pepper, graphite notes and bright red fruits. The palate is powerful and intense with black cherry and dark, muscular berry fruit, crisp acid and some neat, grippy, slightly salted tannins. The finish is long with berries and spice. "